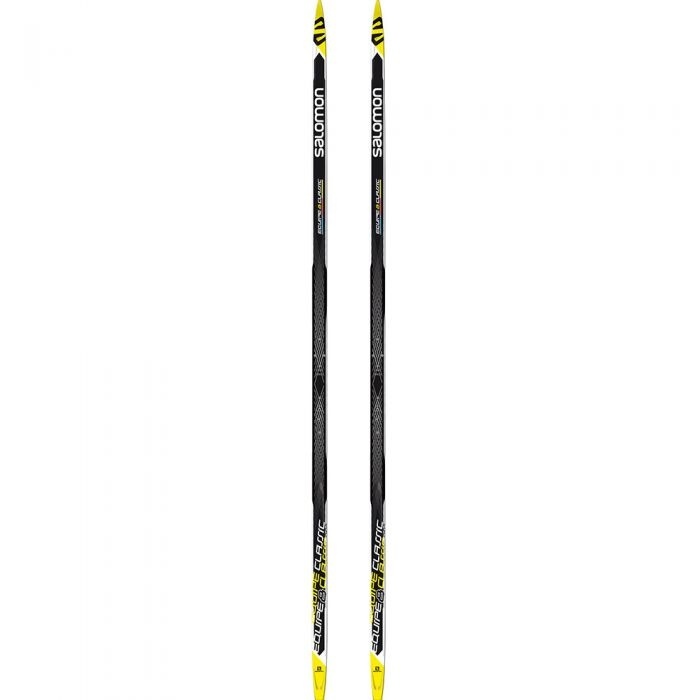 The Salomon Equipe 8 Classic is a very nice step up from entry level classic skis. The stability makes racing or classic touring much easier than entry level equipment. The ski is light underfoot and has a good base material. This ski is perfect for casual racers and high school athletes. Call or email for your best fit.